Interviews with executives to understand their goals for the customer relationship with MoneyGram and challenges they faced in achieving those goals.The team then compared the answers to customers’ journey and perceptions about the company. 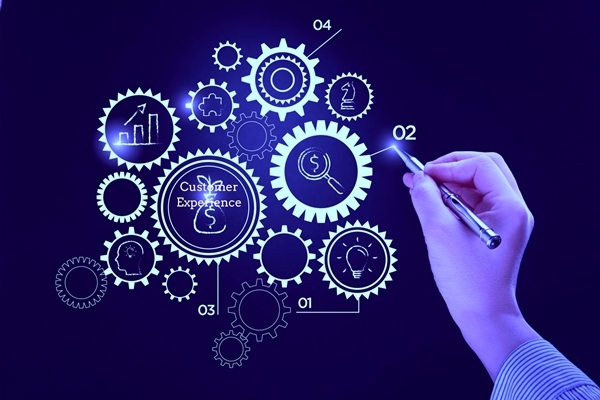 Identify what the customer experience should be. In this process, the CX team found that the customer experience goals were not consistent. In addition, different groups were working to achieve different things (e.g. most frictionless, cheapest, WOW-factor producing, etc.). Identify all the customer touch points, which yielded many more than expected. In addition, executives conducted actual money transfer transactions and reported back on their experience. Review of the online customer experience on a newly launched platform. As a result, the team discovered that it was not developed with the customer in mind. Review of the processes in place for key customer pain points to identify areas of improvement. Customer call with executives to understand the contrast between the language customer use to talk about their transactions and the language used by the company to communicate with customers. Review of all projects in the works and for each asked: How would the outcome of this project affect the customer experience? Consequently, they discovered that many projects would have had a negative impact on it. Strategy development using a maturity model. This defined where they were at a certain point in time and what steps are needed for defined activities to mature. Definition of CX corporate objectives and tracking them every month in executive meetings. Creation of a CX Advocate team for middle management to pilot activities and gather first-hand insights from customers. Journey mapping for both employees and customers to match internal processes and customers pain points. Development of an online CX library to provide internal access to information and articles related to CX. Review of different CX technology platforms available in the market. A global CX webinar to educate and define what CX meant, what it meant for MoneyGram and for individual employees. Development of a CX score cards with relevant metrics once the CX practice was in place. Implementation of a Voice of the Customer program to get feedback from customers. This finally sealed the deal and provided guidance to where the organization wanted to go. Establish a CX operating model. Get comfortable with what they want to do and where they want to go, and what type of activities you need to get there. Help the entire organization to understand the value of a CX team by showing how the customer intelligence it collects can increase revenue. Connect all employees to the experience by showing them the impact they have on customer experience from whatever role they have in the organization.